The Great Wall of China is made of many different materials and stretches from East to West China, a distance of approximately 5,500 miles. 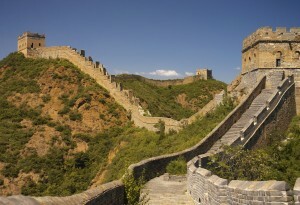 It is a UNESCO World Heritage Site and attracts large amounts of visitors every year due to its historical importance and the fact that it is a symbolic part of Chinese culture. The statue is considered to be the largest Art Deco statue in the world. An impressive 38m tall, it stands overlooking Rio de Janeiro in the Parque Nacional de Tijuca. Every year, millions of people climb or take the train up the Corcovado mountain to visit the statue. Petra is one of the world’s most important archaeological sites, often referred to as the ‘Rose City’ due to the pink stone colour of the buildings. Half carved into rock, it is a stunning place to see and explore, no wonder it is Jordan’s most visited tourist attraction. 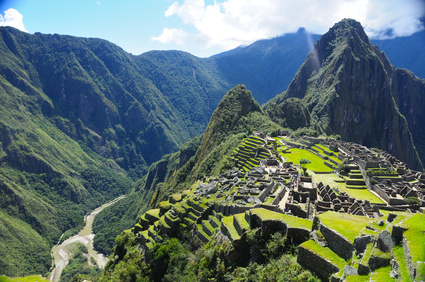 The Inca ruins or ‘The Lost City of the Incas’ is a must-see for anyone moving or travelling to Peru. It is the end part of the popular Inca Trail hiking route. It stands in the middle of a tropical mountain forest, ‘re-discovered’ in 1911, before then it was unknown to the outside world. Located in a beautiful setting, it is a fascinating place to visit if you are moving to South America. One of Rome’s most impressive structures, a journey to Rome would not be complete without visiting this famous Roman landmark. A stunning iconic mausoleum constructed from white marble, millions come every year to admire one of the world’s most photographed buildings. 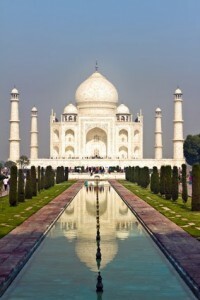 It is worth making the trip to visit it from wherever you are located in India. Chichen Itza is most often represented by the The Temple of Kukulkan, also known as El Castillo, which is an awe inspiring structure representing Mayan culture. The only remaining ancient Wonder of the World, the Great Pyramid of Giza is the largest and oldest Pyramid in Egypt.